Overview of all supported receivers and how to flash a your receiver. Also there is a comparison table were many receivers are listed and are compared right down to component level, so you can make an easier choice if you want to buy one. Also there is a special table that gives the power consumption of many receivers. 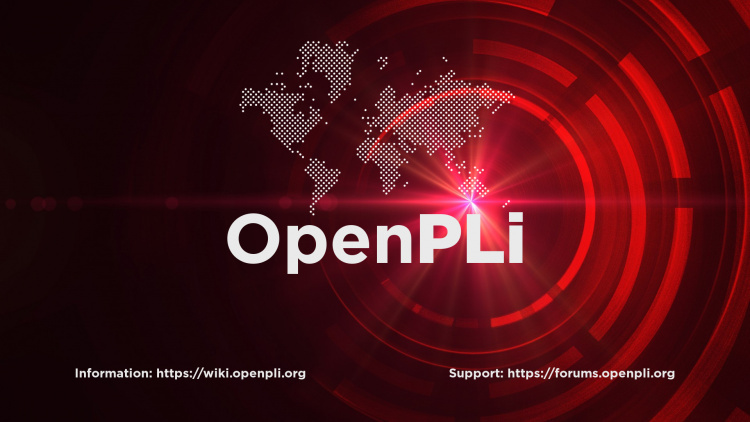 Here will be explained how to install OpenPLi on your receiver, various methods are explained and below are the various links that you might need. The link to the what, how and why to backup is recommended. Before you update, upgrade or change anything it is good to have a backup. Here the plugins "Autobackup" (by default installed) and the "BackupSuite" (has to be installed) are explained. Looking for network ID's, symbolrates and frequency's to scan your cable channels..? Here you can find the information of our cable provider. Channel settings file for various satellites. If you want to share your data like a NAS, OpenPLi receiver, PC (desktop, notebook) or any other medium using NFS, CIFS (SMB/Samba), this is were to look. Here you will find a list of known external devices that are known to work with OpenPLi. When you want to look at encrypted channels and not only Free to Air (FTA) you can use a softcam. In this section is explained how to install and use a few. Many useful tips on various stuff on working with OpenPLi, Putty, SSD useful or not, debugging, how to crashlog, etc. etc. This section deals with all kind of problems and possible solutions. If you run into a problem using OpenPLi you can take a peak here to find a solution. Some functions are not easy to find, but can be very helpful, here there are a few. With this function Hotkeys can be (un)selected to make things easier. Here the mountmanager is explained. It is used to mount (make) accessible external drives, like with a NAS or (the harddisk of) other receivers. Mounting means associating a storage device to a particular location in the directory tree. If want to extend the functions of OpenPLi you can install plugins from the feed. Remember these plugins are not maintained by OpenPLi, so always backup before installing. This function gives you the option to use the tuners from another OpenPLi receiver, when they are wired or wireless (WiFi) connected. This way you can watch TV when there is no access to satellite or cable or expand your tuners. Information about the Webif (webinterface) and how to access and configure it. Info for developers and some basic Git commands. OpenPLi is always looking for help to have it translated properly in many languages. Here there is information, FAQ etc. to help you along the way. This page was last modified on 16 April 2019, at 08:49.